DO YOU HAVE A DREAM TO RUN A BIG RACE? Maybe a half marathon, a marathon or even an ultramarathon? Have you struggled to fit in the training in your busy life? Maybe you don't know where to start or perhaps you have done a few races but keep having motivation or injuries troubles? Do you want to beat last years time or finish at the front of the pack? If you answered yes to any of these questions then we can help you. What do our athletes think? "Lisa and Neil are skilled mentors who have become friends through my journey. Unlike other on-line coaching programmes, Running Hot Coaching make an effort to keep it personal"
"I did a good warm up. I focused on form and keeping my cadence up and took 52s off my pb from 2 months ago. Even better I didn't feel like I had exhausted myself trying to run that time. Very happy"
"I had a lot of injuries to overcome and I really do not think I could have stayed focused without you both. I really can not thank you enough for your guidance and support and will be totally recommending your coaching business"
"I have learnt so much and plan to use it all on my own journey. Thank you so much Lisa and Neil for you knowledge and hard work. I have made some new friends and look forward to seeing you at events in the future and hearing about your achievements." Pick the plan that best suits your experience and level. All our options come with detailed marathon and half marathon training plans to suit the time you have available for training. All pricing is in US Dollars. Billed in 7 days as one monthly payment of $29USD then $29USD monthly! 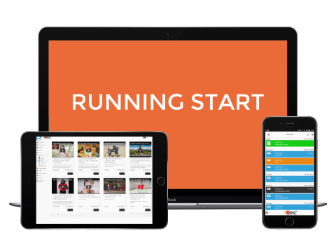 Our Running Start holistic training system includes everything you need to get to the finish line of your dream race in the best shape possible. Ready to take your training to the next level? Get personally coached by Neil or Carlos. *One off $260 start up fee - includes yearly membership. All the benefits of the "Running Start"
Lisa Tamati has many gifts, but the one I most admire is her ability to help others be the best that they can be. She brings a wide breadth of talents and skills to her coaching and her extensive experience as an athlete, author and speaker are invaluable assets. 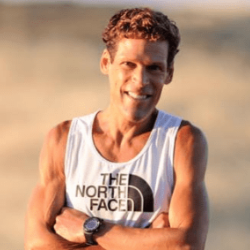 Whether your goal is to run around the block or to run an ultramarathon, I highly recommend Running Hot Coaching services and am confident that they will help you achieve your dreams. Yes we have a 30 day money back guarantee. What currency is the pricing? Is this suitable for all experience levels? Yes. 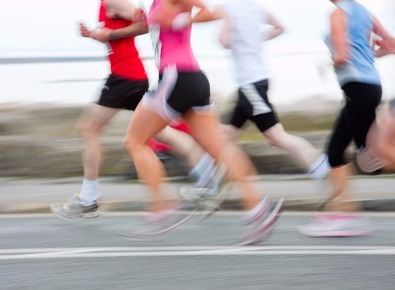 The Run taster and Running Start plans are for beginners to intermediate runners. If you are wanting to run ultra marathons or run a PB with a specific time goal on your next half or full marathon we recommend either the Mad Runner plan or our customised coaching solutions. First up you get an email with your password to register on our site and instructions on how to use the platform,You will be able to choose your plan, join the online community through our members Facebook page, meet the rest of the Running Hotties, and you will receive series of emails with valuable training information. 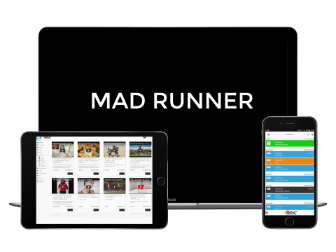 If you joined on the Mad Runner plan or customised packages you will contacted regarding a consultation time on skype or phone. What resources are available on the inside of the platform library? We have a ton of articles, videos, podcasts, clean eating recipes etc for you to peruse at your leisure, on every conceivable training related issue. Do you offer other services? Yes, Lisa also has a mindset academy which is an online eCourse called "The Path of an Athlete" and is all about how to develop mental toughness, resilience, leadership qualities, keeping motivated and focused and developing a never quit mentality. Neil and Carlos are both Kaizen Health Practitioners and offer health coaching services. These include 1:1 health coaching, food sensitivity testing and adrenal function testing. We also work closely with other professionals including Nutritionist and Exercise scientist Dr Nick Kimber, Ben Warren form BePure and Dave Liow and Angela Jenkins from the Kaizen Institute of Health. Do you have Partner discounts available for members? Yes, we and we are constantly looking for other new health and fitness related companies to partner with so we can offer our members discounted prices. You can see the current offers and get the coupon codes as part of your plan. Contact us today and we will be in touch to help you make your running journey a success! Select a programme and join the Running Hot Coaching Team now!